The Flesh Walls world is one of the most talked about areas in .flow. You can arrive here by way of the red and black room covered in twisted shapes. It holds both the Viscera and the Whistle effects. The walls and floor here appear to be made of flesh hence the naming of this world. Typically thought of as a body cavity of some sort and houses many black haired girls as well as what appear to be bleeding eye and mouth decorations further in. 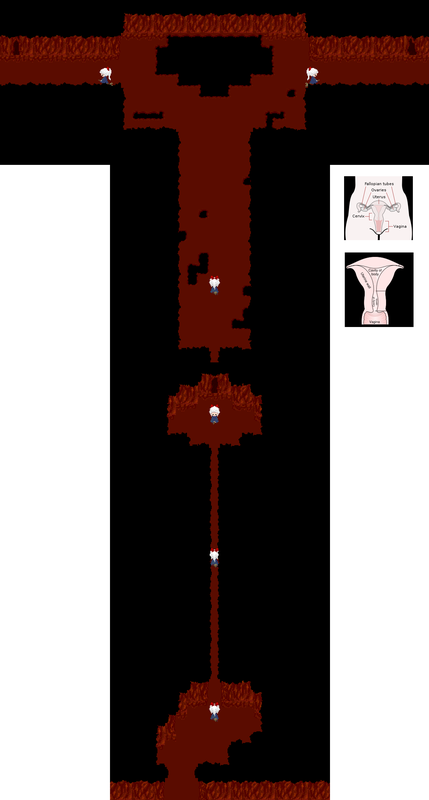 One area is even full of Fetuses that will attack you and remove any effect you may be wearing (Deranged Mouth World). The grotesque event in which 9 black haired girls spontaneously explode in the room with the large black haired girl also occurs here. See event Mother for more details. 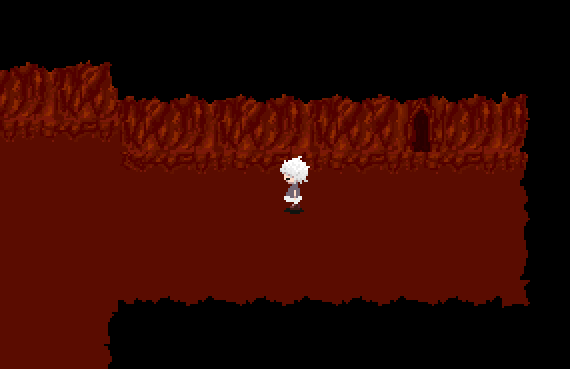 It's been speculated that this area may very well be Sabitsuki's own body with either the black haired girls being the cancer or her immune system.